A September 2015 article from Direct Marketing Magazine says small business owners report that . . . While it’s fairly easy for them to execute, they struggle with content . 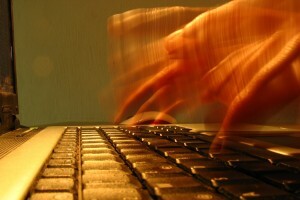 How is your company using email marketing? And where do YOU get your content? Here are three options to consider for uses and sources. 1. Newsletters — Still Reliable! If you think that newsletters have become “old news,” take another look! Newsletters perform as well as they ever did, particularly for B2B marketers. An added bonus? Delivered via email, they are far less expensive than the old print versions. The reasons for newsletter success are the same, too. 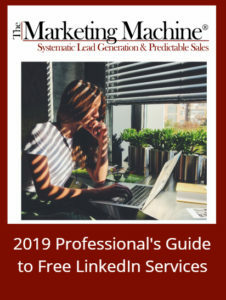 Since you can never tell exactly when a prospect will have need of your services, a regular newsletter can make sure you are top of mind when that need suddenly develops. As for content, a newsletter has to have “problem-solving” information for potential customers, but it can also provide rare intimacy by sharing internal company news. It can make useful observations about your industry, and offer juicy tidbits and tips. But a newsletter is not an educational piece. It is a marketing communication that positions your company as timely, expert, and approachable. If you are like most business owners you will find writing a regular newsletter to be a real chore, if not a pain. And it definitely takes time. So don’t succumb to the temptation to write it yourself. Contract with a professional writer, preferably for several issues at once. Together, you can come up with an appropriate format and tone, how much interactivity is required, and a rough creative calendar. Then, let the writer do his or her work while you get back to running the business. Expect to pay an accomplished business writer upwards of $2,000 per issue. 2. Inquiry Follow-up — Takes Planning. When your networking efforts, your social media activities and your website result in inquiries about your services, your next step in the lead generation relationship is likely to include a series of personal emails. This sort of writing is completely different from newsletter writing! First, to the extent possible, your email must be personalized and customized – so it’s not at all a one-size-fits-all solution. However, it must still be part of a systematic marketing effort that provides the prospect with the right information at the right time. Rather than you or a sales person coming up with content on the fly, you can simplify and strengthen your inquiry follow-up emails by creating what we’ll call a “letter bank.” The letter bank contains well-crafted sentences and paragraphs that can be used over and over again, wrapped in a custom salutation and close. More important, the elements move the prospect forward at each step in the sales process. Inquiry follow-up emails may be delivered by autoresponder or by individual salespeople. A skilled direct response copywriter can create “building blocks” or entire autoresponder series that you and your sales people will use with confidence. Obviously, this writer needs the time to understand not only your business but also your business culture. Costs vary depending on the experience and background of the writer, but expect to pay $500 to $1,500 or more for each of these building blocks emails. 3. Building Relationships — Essential Tool. Email is also one of the best tools for developing real personal relationships, whether with prospective customers, current customers, or valued colleagues. You need to write your own personal emails. Asking someone else to write them (an assistant?) will backfire the first time that person makes a mis-step. If writing graceful and friendly emails doesn’t come easily, there are many tools and even full courses available to give you the skills you need. The value of writing your own email isn’t measured in dollars. Rather, it’s measured in the opportunities you are creating by developing these personal relationships. No one else can do it like you can! Only Three Ways . . . These are only three ways email is used in generating B2B leads and deepening relationships. Of course, many refinements can be applied to each form of communication to be sure it is as effective as possible. What is included as “content” is only one aspect to be considered. What’s more important is whether your email turns the corner from being a simple outbound message to becoming part of a dialog. That is when email delivers!